This review is for the Royal Neighbors Health Insurance Company. The Royal Neighbors Insurance Company offers several different insurance and financial products to customers all over the United States. Founded in 1895, Royal Neighbors has built a traditional of serving the varied and unique insurance and financial needs of women and their families. Are you looking to find health insurance coverage for you and your family? Just enter your zip code in the search took below and beginning comparing coverages and companies today! Royal Neighbors Insurance Company had more than $750 million in assets at the end of 2010. Although there is no other listing for physical locations of offices, there is a complete listing of phone numbers for the different office and departments affiliated with Royal Neighbors, such as the claims department, member benefits, scholarship information and more. The office hours for Royal Neighbors Insurance Company are 8 am to 5 pm, central time. The Royal Neighbors Insurance Company offers several insurance and financial products. These include life insurance, annuities, and a Medicare supplement plan. The life insurance products offered by the Royal Neighbors Insurance include whole, universal and term life insurance. Whole Life Insurance provides coverage for the lifetime of the insured and the payments do not change. In addition, a Whole Life Insurance Policy from Royal Neighbors Insurance Company can build cash value and can be taken as a loan. Universal Life Insurance is permanent insurance that also builds up a cash value and can be borrowed against in the future. Term Life Insurance offers a fixed premium for a guaranteed cash benefit for a certain amount of time, usually ranging from 10-30 years. This can help cover expenses such as a mortgage or college tuition. The financial products available through Royal Neighbors Insurance are strictly annuities, including two deferred annuities and an immediate annuity. These annuities allow individuals to ability to purchase a retirement plan with a single payment of a premium that guarantees a certain interest rate for a pre-determined number of years. By purchasing an annuity from Royal Neighbors, you can set up pension-type payments when you retire, or accept periodic payments. The exact annuity program depends on the individual and their financial needs and goals. The one health insurance product offered by the Royal Neighbors Insurance Company is a Medicare Supplement program. The Medicare Supplement Insurance provides coverage during the lapses of coverage that naturally occur with the Medicare plan offered by the United States Government. In addition, the Medicare Supplement Insurance Plan offered by the Royal Neighbors Insurance Company allows policy holders to customize their coverage based on their specific needs and situation, as well as what is affordable. Finally, members of the Medicare Supplement Insurance Plan can add an additional member to their coverage plan for no additional cost. This additional member can be a spouse or domestic partner. Every individual’s situation will vary, so it is best to contact an insurance agent to determine the best available program for you. The Royal Neighbors Insurance Company has been accredited by the Better Business Bureau since 1986, and has earned an overall rating of A+. The A.M. Best Company has given Royal Neighbors Insurance Company a rating of A- (Excellent) for its financial strength. 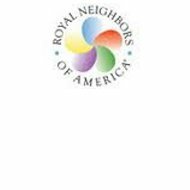 The Royal Neighbors Insurance Company has detailed information on career opportunities with the company on their webpage. This includes open positions, benefits available to employees, growth and career acceleration opportunities as well as the Royal Neighbors Insurance Company’s commitment to making a difference in the communities they serve. If you are interested in a position, clicking on the employment opportunities will allow you to see any open position, as well as give you the opportunity to apply. For additional information regarding the different opportunities available at Royal Neighbors, interested applicants can email to [email protected]. In my entire life, I’ve never had a computer say to me, “We cannot help you at this time. Good-bye!” and then hang up. This is CUSTOMER SERVICE? No, this is more like LIP SERVICE! So here’s the deal … the purpose of my call was to inquire as to what steps were required to have payment for my life insurance policy changed from one bank to another. That’s all. Your computer didn’t even get that far … it just told me it could not help me and hung up. If you want my business, then I suggest you hire real people to answer your phones. In a few weeks, I will be closing the bank account now used to make payments to you. If you wish to continue to receive payments then I suggest you contact me … because your computer doesn’t have the time!! !